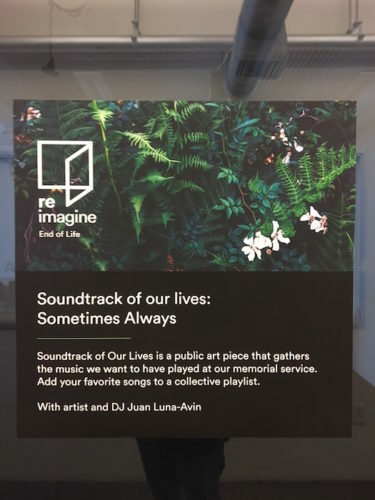 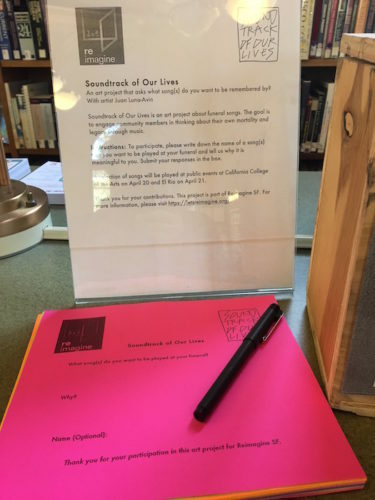 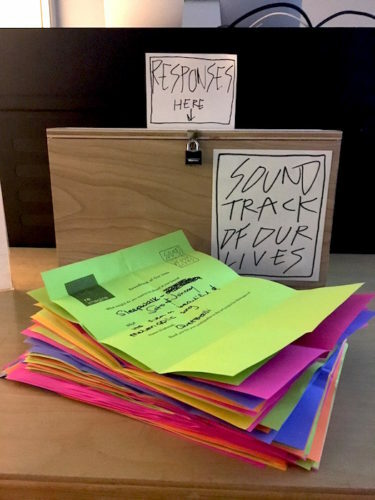 Soundtrack of Our Lives is a public art project about funeral songs, initiated by artist and DJ Juan Luna-Avin in 2016. 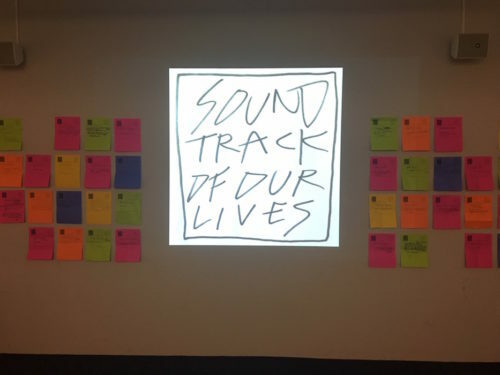 Its goal is to engage diverse audiences in thinking about their own mortality and legacy through music. 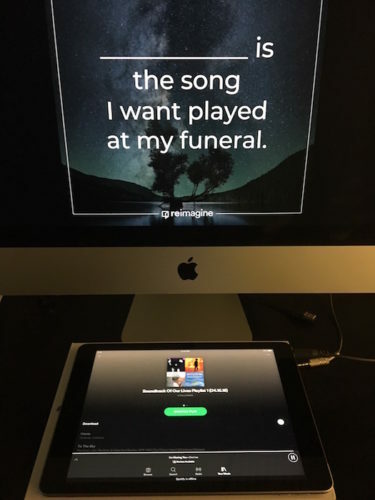 To participate, community members are invited to write down the name of a song(s) that they want to be played at their funeral, and the reason why it is meaningful to them. 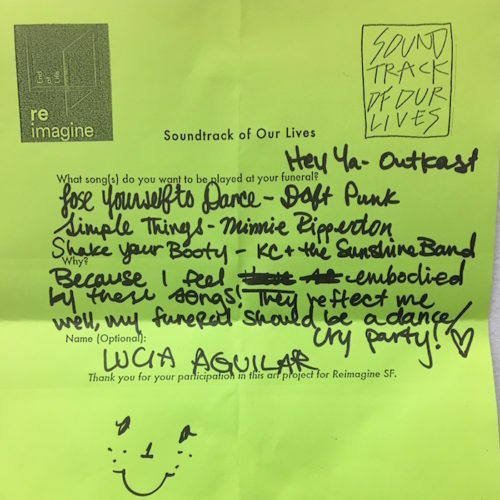 In doing so, Luna-Avin hopes to inspire people to think about songs that give them joy or affirmation, and how they want to be remembered. 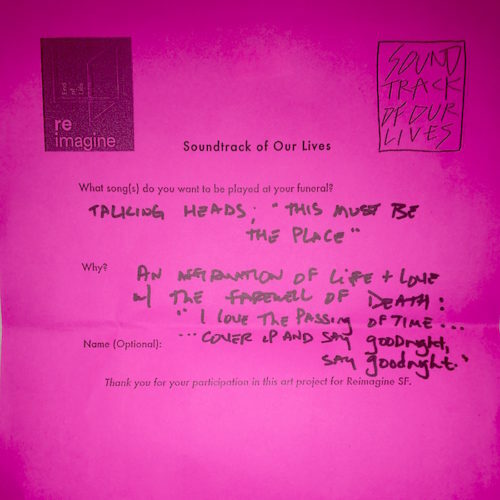 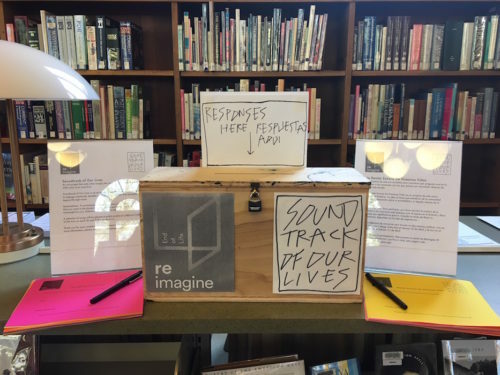 Soundtrack of Our Lives partnered with Reimagine on a version of this project in April 2018.